We are rounding up the sales for Black Friday. Look here first for all of your shopping wants and needs to see if you can grab a bargain! We are rounding up the sales this Labor Day! Follow along as we update the list as new sales are announced! We are rounding up the sales this 4th of July! Follow along as we update the list as new sales are announced! We are rounding up the sales this Memorial Day weekend! Follow along as we update the list all weekend long! It's that time again! We are rounding up the sales all weekend and through the holiday! As we find more sales, they will be added so check back and keep up with all of the sales! Know of a sale that is not listed? Comment below and we will get them posted! *Please note that some of the links below are affiliate links. We truly appreciate everyone who takes the time to shop from our affiliate links, as that helps us to keep the lights on here at PatternRevolution.com and to continue to develop and offer content. A complete list of our affiliates can be found here. 20% off no sale code needed through Monday. 35% off through the end of the month. No code needed. Prices already reduced. Laela Jeyne Patterns It’s that time of year again! Take advantage of the low prices on our most loved patterns before they get expanded and updated. Once updated, you’ll receive the new copy in your account free of charge. Sale starts 5/26 and ends 5/30 at midnight EST. No code necessary. 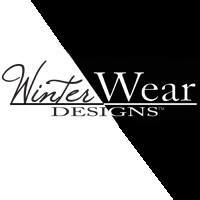 Save all weekend long at Winter Wear Designs Fun - grab all your favorites with 20% off the entire shop!!!! Amazon Amazon has a number of great sewing deals including a great price on the Brother 1034D serger and this Brother Laser Printer. Blank Slate Patterns Buy one get one 50% off on all patterns using code MEMORIALBOGO. Discount applies to item of equal or lesser value, one use per order. Valid through May 28. 2018. Candy Castle Patterns Memorial Day at Candy Castle Patterns! Receive 20% off the Bubblegum Dress and all the Bubblegum Dress Add-Ons! 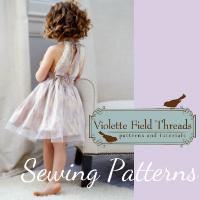 Stock up on this beautifully versatile, great fitting dress and use the many add-ons to sew up a completely different dress time and time again! Use code LIBERTY when checking out. 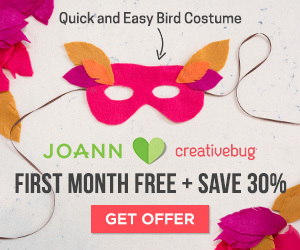 Valid through May 30, 11:59 PM MST. Cricut Memorial Day Flash Sale, featuring up to 40% off supplies. Valid 5/23-5/29. $10 off Cricut Brightpad! Valid 5/23-5/29. Hey June Handmade 20% off paper and PDF patterns with code "MD2018" through Monday 5/28 MT. Paper patterns will ship after 6/5. Kelly J Designs 20% off all patterns and pattern bundles! Use code MEMORIALDAY20 starting Friday, May 25 through Monday, May 28 (EST). Koerbs Brothers 40% off Friday, May 25th through Tuesday, May 29th Use the code "Memorial"
LBG STUDIO Save 25% off your purchase! Use code SAVE25 at checkout. Sale ends Monday, May 28th, 2018 at 11:59 pm cst. Oliso; EXCLUSIVE OFFER! 15% OFF! Use code "15FORYOU"! Shop now for a limited time only at oliso.com! Pickle Toes Patterns Pickle Toes Patterns is having a Memorial Day sale with 2 awesome deals through 5/29! Use code MEMORIAL1 to get a bear/doll pattern FREE with the purchase of any 2 baby or kid patterns or code MEMORIAL2 to buy 2 and get the 3rd for 50% off. 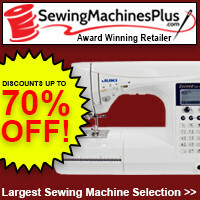 PUPERITA♥ MEMORIAL DAY SALE❤---❥ #Coupon Code MEMORIAL to get 20% off ANY #sewing #pattern (exc. bundles) for #Babies & #Children at Puperita! Valid Sunday 27 only. Sew Like My Mom Save 25% off your purchase with code MEMORIALDAY through May 28. SewUCan Patterns SewUCan patterns is having a Memorial day sale! Use code MEMORIAL18 for 40% off your total purchase now through Memorial day, Monday May 28th at 11:59 pm CST. Shwin Designs All Patterns on sale for $6! Starting 5/25/18-5/28/18 No Code Needed! Join our facebook page for even more pop up deals! 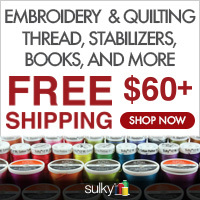 Sincerely Riley Fabrics Take 15% off with code WEEKENDVIBES or buy 8 yards get one free with code BUY8. Sale ends Monday at Midnight. The Wolf and The Tree Get ready for summer with our rash guards, tunics, skirts,... and make the most adorable outfits for back to school! Use coupon code 'MemorialDay' on our website (www.thewolfandthetree.com) or Etsy (www.etsy.TheWolfandtheTree.com) for 40% off all individual patterns! Sale starts today and runs through Tuesday! Toby K. Patterns Get 20% off all patterns this weekend using the code MEMORIALDAY2018. Toby K. Patterns has modern patterns for men, teens, and boys. The coupon is good from Friday, May 25th through Monday, May 28th, CST. Zipper Island This weekend only: Free domestic shipping on all orders totaling $25 or more. We are sharing the hottest PDF Pattern Black Friday Sales! Check out our listings for all of the sales information to find your deals this Balck Friday and Cyber Monday shopping season! Your one stop for the best Labor Day sales is here! Stop by to see what is on sale this Labor Day. Find all of your 4th of July sales in one spot with the Pattern Revolution Sales Roundup!